Design work is continuing on what will be one of Cornwall’s most iconic building projects, the Stadium for Cornwall to be built on a site just outside Truro. 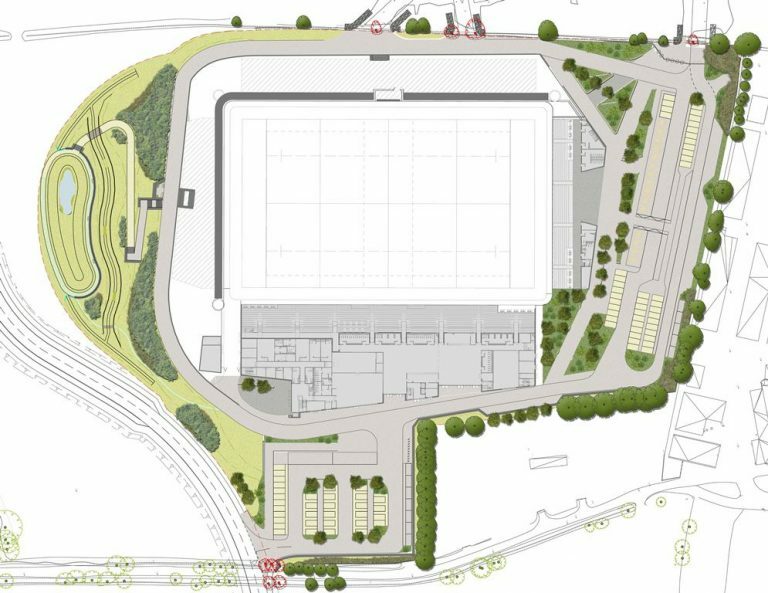 The stadium will become the home pitch for the Cornish Pirates and Truro City Football Club and the base for Truro and Penwith College’s catering and hospitality course. There will be meeting and conference facilities for 5 to 500 people and a public gym. CEC was chosen to partner with engineering and professional services consultants WSP to deliver combined ecology, landscape design and arboricultural services. The team has already produced the Construction Environment Management Plan which will be crucial to the support of the planning application, due to be submitted in early 2019. “Working closely with the developers, WSP and CEC will ensure that impacts on biodiversity can be mitigated without compromising the integrity of the scheme”, said Phil Hills, CEC Director. “As the project is at the forefront of Cornwall’s identity and heritage, our team will also consider archaeological characteristics and retain natural features such as traditional Cornish hedges”. CEC’s landscape architects have designed the external spaces, including the main entrance area, with a combination of native and high impact planting. Habitat designs with wetland features will form part of a sustainable drainage system, which will result in a net gain for wildlife and help to reduce pollution. Overall CEC’s creative designs will ensure that the final scheme delivers environmental growth. Paul Quinn, Project Manager at WSP added, “the WSP team based in the Truro office, and our associated partners CEC Ltd, are passionate about making this project a success and being part of providing this much-needed facility for the people of Cornwall and future generations”.